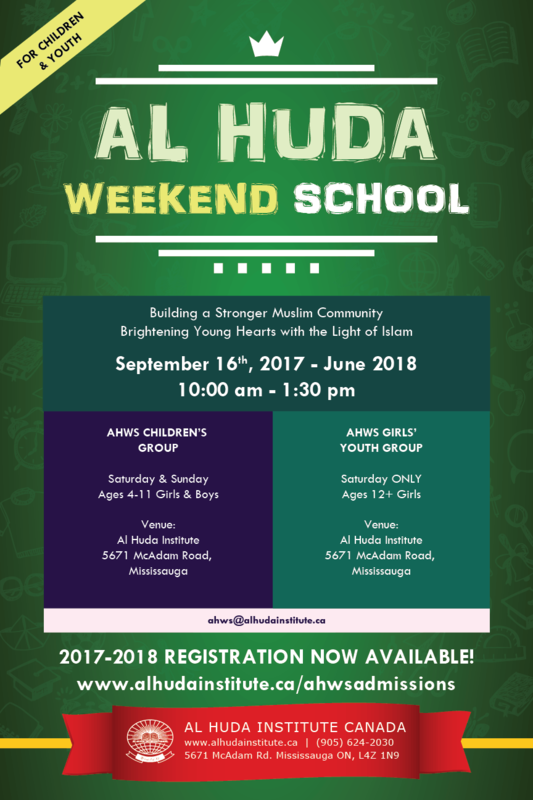 Registrations for Al Huda Weekend School will be closing soon! Hurry and register your child to secure their spot as soon as possible! Only a few days left! All material taught is according to the Qur’an and Sunnah. The main goal of the weekend school is to connect children to their Creator by making them responsible, disciplined, caring, respectful and humble servants of Allah. Besides helping children grow spiritually, AHWS students also participate in arts and crafts activities as well as speech competitions. We also have annual fun activities like picnic, sports day and bake sale. 1. AHWS Children’s Group: Boys and Girls aged 4-11, every Saturday and Sunday.